The The's Matt Johnson revealed some devastating news -- his father, Edward Charles Johnson, passed away yesterday morning. Johnson issued a statement indicating he is not canceling The The's upcoming shows due to the financial implications involved, plus he and his brother Gerard had promised their father they would carry on with their careers. The news is particularly heartbreaking as Johnson's brother Andrew died only a few years ago; Johnson has stated previously that Andrew's death was a major blow to him, but somehow Andrew's death also managed to inspire him to get back to making music (he wrote "We Can't Stop What's Coming" while Andrew was dying from cancer). 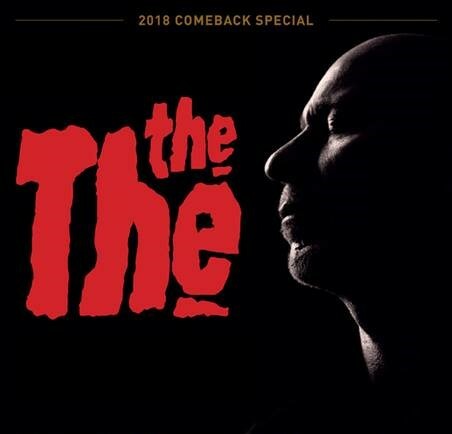 Last year The The released their first new material in over a decade, and just last week The The launched the Comeback Special tour -- their first world tour in almost 20 years. It is with very deep sadness and a very heavy heart that I write this statement. My beloved father passed away unexpectedly this morning whilst I was en route to Stockholm for tonight’s concert. I am unable to cancel THE THE’s concerts over the next week due to the massive financial implications, but also in recent weeks, as his health was starting to fail, my dad had made my brother Gerard and I promise that if anything were to happen to him we would both carry on with our careers and make him proud. Anyone who knew our dad will know what a wonderful man he was. A big man in more ways than one he was well read, funny, charming, loyal, brave, a brilliant storyteller and a man with a deep sense of social justice. Above all he was a family man who loved his large family. It has been a privilege to be his son. We spoke every day, I loved him very, very much and his loss to our family is incalculable. Lesser people than him who might experience some of the heavy blows he suffered in life may have become embittered, yet it had the reverse affect upon him. Despite losing two sons, a wife, and suffering numerous other hardships that life threw at him, he just grew and grew as a human being and in the intensity of his warmth, kindness and empathy. While this would normally be a private family matter I am making it public because I find myself trapped in the public eye during the coming weeks and I ask for your understanding and for bearing with me during this difficult time.